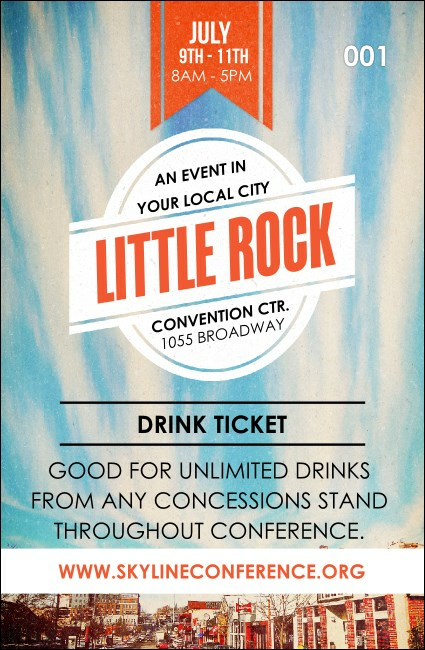 Get the best bar sales in Central Arkansas when you print Little Rock Drink Tickets and sell them at your next event in Rock Town. These stunning and colorful tickets feature a blue sky background accented with white clouds and each one includes sequential numbering to help keep your event secure. Find rock-solid promotions at TicketPrinting.com.